First off – if you’re not sure whether your furniture is truly leather or not, check out this article: What Type of Leather is Best. If you’re dealing with sealed, bonded, or PU leather then you can just use any multi-surface cleaner to spray and wipe. If you’ve got top- or full-grain leather then read on to make sure you keep things in peak condition. Begin by vacuuming up any loose debris and dirt. There’s always a loose cheerio or goldfish cracker in our house – and trying to clean without removing debris is counterproductive. 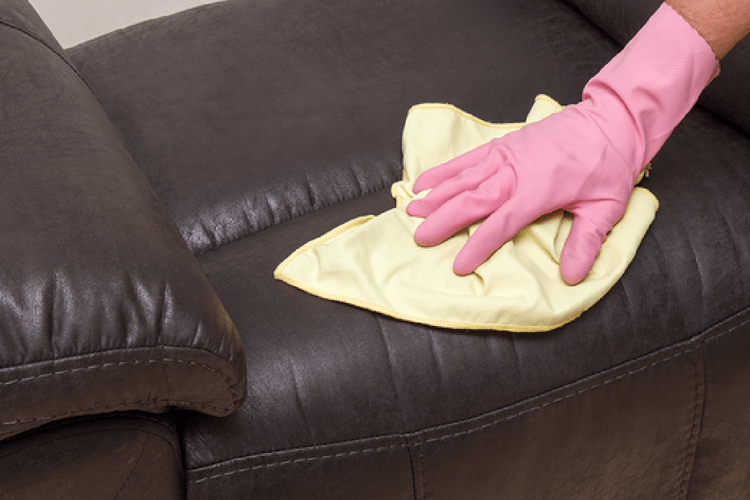 Spray your preferred leather cleaner onto the surface of the seat and use a soft bristled brush to gently agitate any problem areas. The most common spots are the creases and places where skin or hair routinely comes into contact with the leather. Use a clean, dry microfiber towel to wipe away any excess moisture. The seats will remain somewhat damp to the touch unless they have been coated. If there is a particular stain you may need a second treatment to remove it. Allow 1-24 hours for the seats to dry depending on your climate – do not apply any sort of heat to accelerate the drying process, as this can damage the leather. Apply your preferred leather conditioner generously and evenly. Avoid letting it pool up in a single area to make sure you have even coverage. A good leather conditioner will keep the leather moist which prevents cracking, while also providing UV protection to maintain the color. After application allow 4-6 hours for the seats to absorb the conditioner. Using a clean, dry microfiber towel wipe off any excess conditioner and then wipe fully dry. Spending a few minutes to complete this routine every 3-6 months will ensure that your leather furniture looks great for years to come! 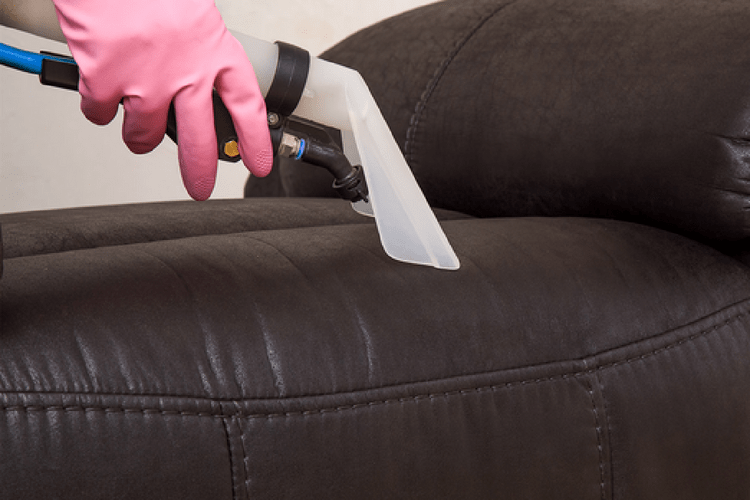 If you’re interested in TriNova products to care for your leather furniture we have everything you need! If your leather couch is peeling and you want to know why, check out this post: Why Does Leather Peel. How can I get newspaper ink off a white leather couch? Very informative post, thank very much for sharing. Keep it up. Thank you for sharing an informative post. I had trouble cleaning my refurbished sectional that I got a month ago. I hope this will do.